Snapchat today announced it was opening Lens Studio to everyone. Anyone can develop their own Lens, one of Snapchat’s most lauded augmented reality feature. Lens Studio is an app available for Windows and Mac, and you only need to log into your Snapchat account to download it. It includes guides, templates, 3D modelling software, and a scripting API. According to the Lens Studio page, app users can participate in design challenges for prizes. Studio Lenses can be unlocked by special Snapcodes for a 24-hour period. Once you have created the Lens, you can send the Snapcode to friends or to your Story, and anyone who scans it will have the Lens added to their repertoire. 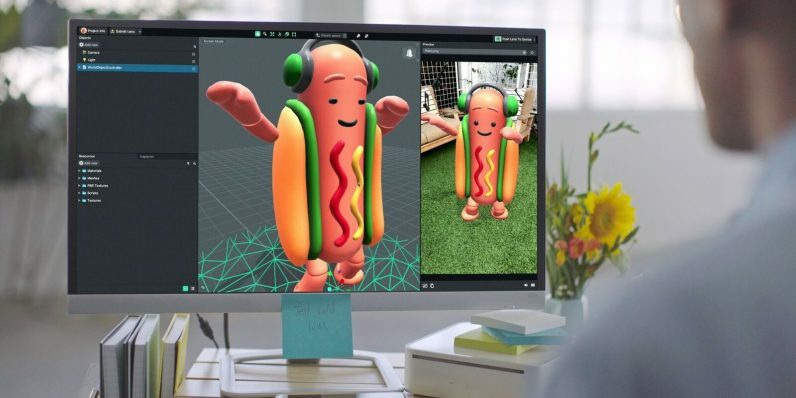 All of those showcased thus far put 3D objects into the world via the rear-facing Snapchat camera — unfortunately, that means now creative face Lenses. Snapchat touts the ease of the app’s use, stating all one needs to do is upload their art and add some cute animations. Based on their examples, several fledgling developers have already taken it beyond that simple premise. One example shows a Lens in which a giant AR spider jumps out of a hole in the ground, because why would you ever want to sleep again, ever?